If you can convince a non-mooncake lover to eat mooncakes and recommend them willingly, it must mean that your mooncakes are pretty awesome right? The nice folks at Man Fu Yuan, InterContinental Singapore, were kind to send their latest sweets my way and the obligatory bite(s) ended up doing some serious damage to my abs and cheeks. And i'm not even the mooncake monster S is. 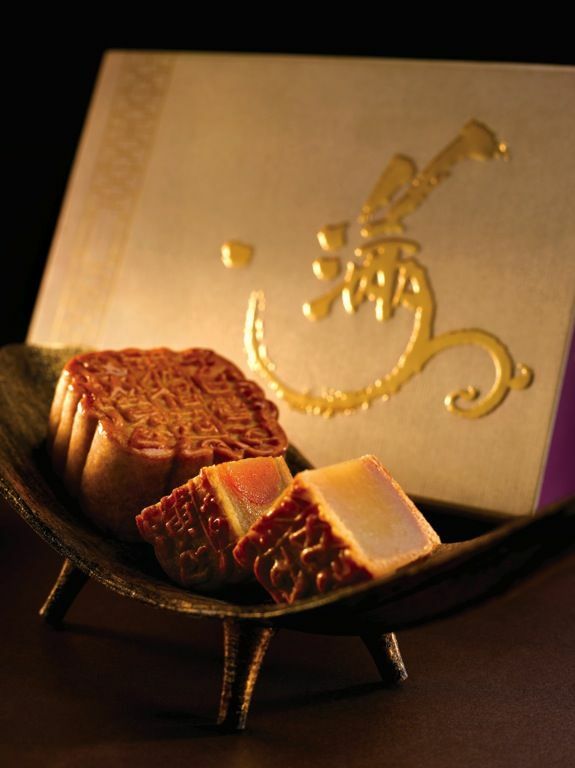 This season, InterContinental Singapore’s award-winning signature restaurant Man Fu Yuan unveils a divine collection of handcrafted mooncakes in a specially designed box created in collaboration with the Nanyang Academy of Fine Arts, featuring a winning calligraphic design inspired by ancient legends of the Mid-Autumn Festival. 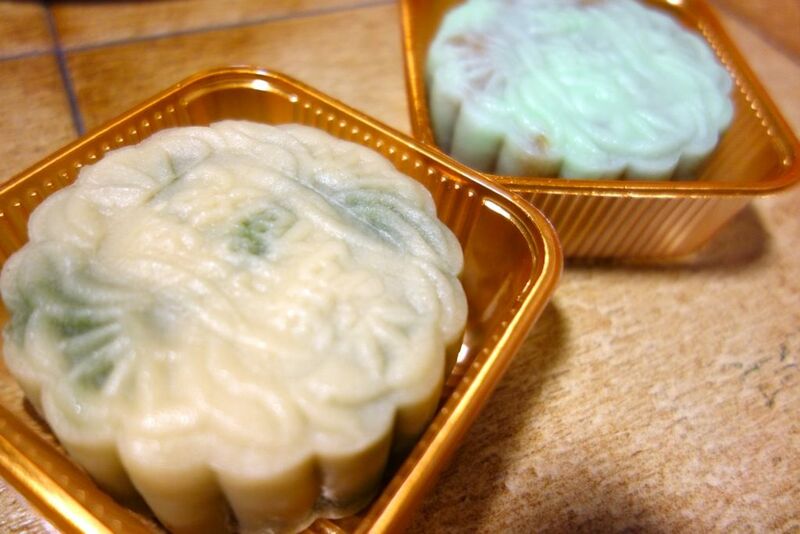 What i like are the snowskin mooncakes, which were easy on the vanilla essence taste in the skin (thank god). The Snowskin Mooncake Combination ($54.80 for 4pcs) includes Green tea Paste with Dragonball Jasmine, Pulot Hitam, White Lotus Seed Paste with Macadamia Nuts and Sesame Paste with White Sesame Seeds. My favorite of the lot? The Green Tea Paste with Dragonball Jasmine which is so aromatic. You can taste every bit of the intense green tea flavor and be refreshed by the lingering jasmine perfume. What's best is that it isn't too sweet. The Black and White Sesame was my other favorite. 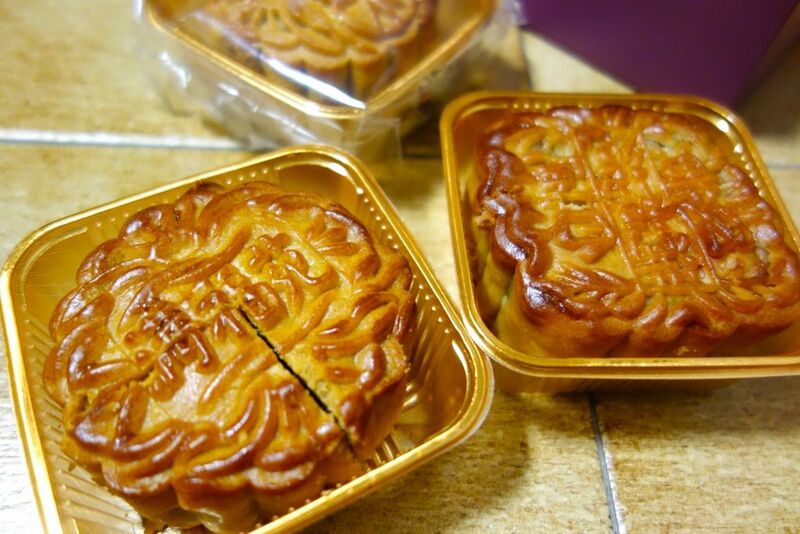 This is a savory sweet mooncake and certainly the first one of its kind that i've tried. Just make sure you don't eat this on your first date. 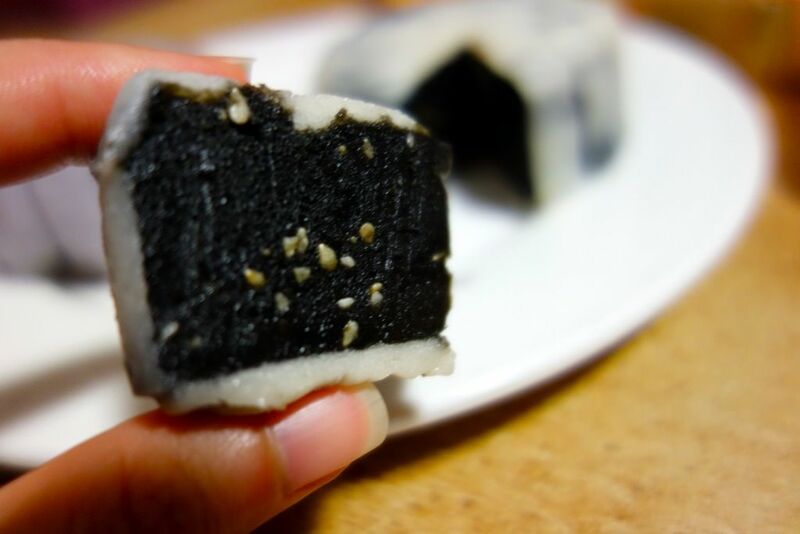 It has that malt candy filling taste actually, very similar to that of the Chinese pastries (pong pia). 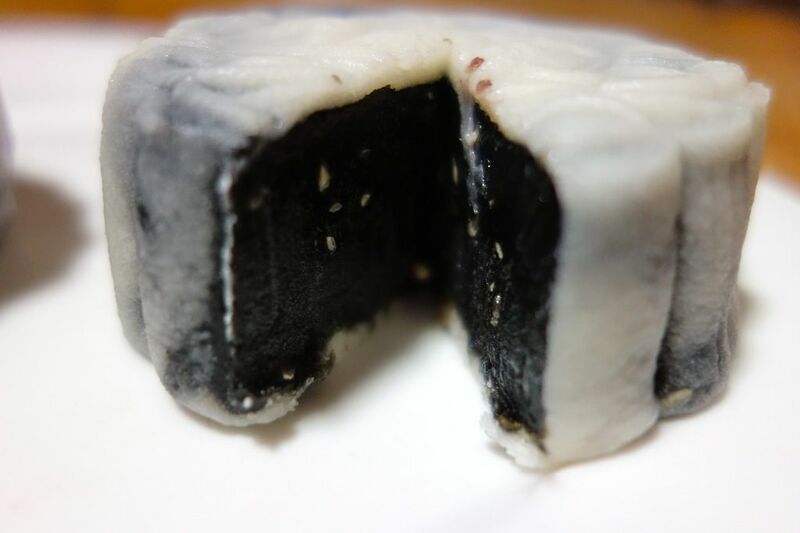 The new creation which is the 'Pulot Hitam' mooncake, a Peranakan dessert made from black glutinous rice, didn't fare too well with me. I found the filling too hard; it was impossible to cut through it even after defrosting it for a bit and the skin melted beyond recognition as i was trying to get a slice out. It also lacked the richness of the actual dessert. Such a pity. Durian fans rejoice. 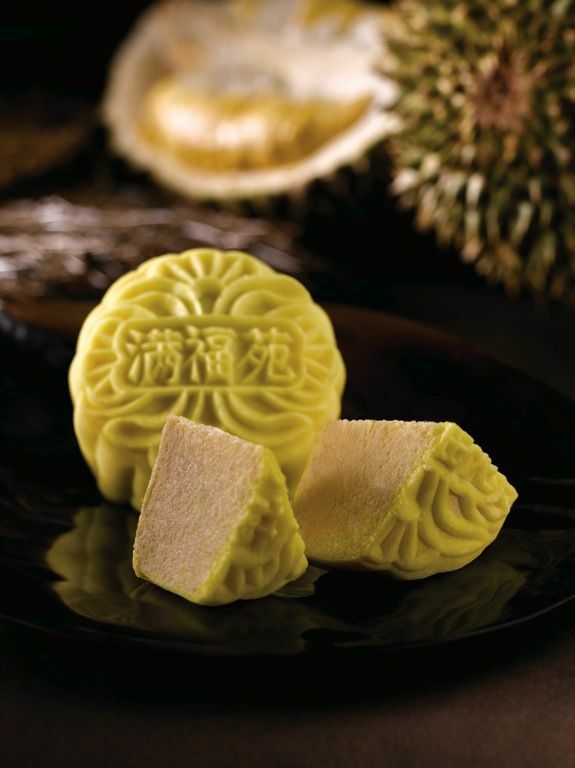 There's also the Snowskin "Mao Shan Wang" Durian Mooncake with Coconut ($54.80), which is a decadent blend of premium durian pulp and fragrant coconut milk. 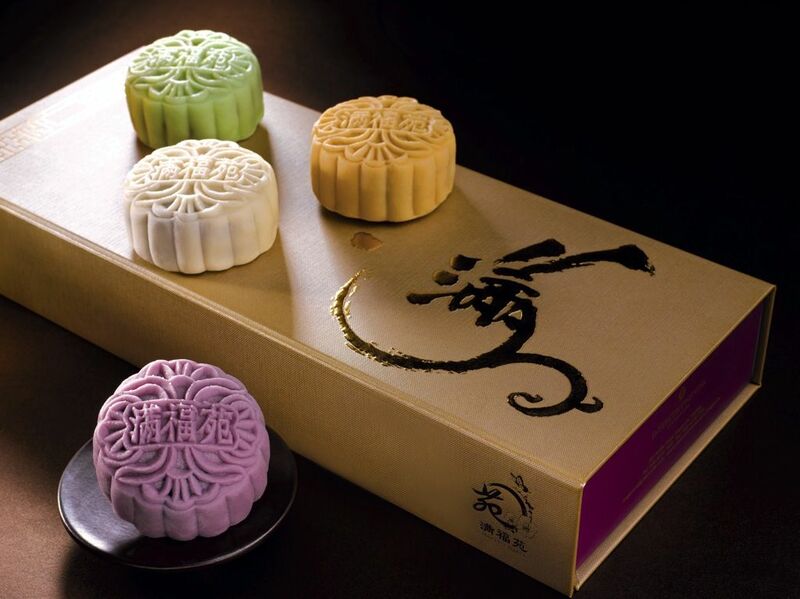 If you are calorie conscious, Man Fu Yuan also has a new range of low sugar white lotus seed paste mooncakes, made with 50 percent less sugar and with all-natural ingredients. I'm still not a fan of the baked mooncakes and the yolk is all i take. I found the baked mooncakes oily (not in a smooth way). I'm not sure if they used lard in their traditional mooncakes because that's how the traditional ones are made (so i've been told). locations across Singapore, with boxes of 2-piece from $29.80 and 4-piece from $48.80. or more boxes of 4-piece mooncakes).